Let Bunny and Art help you find your new home in The Villages in Howell, NJ. 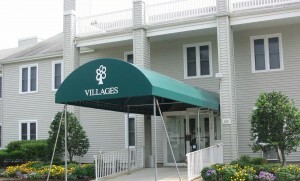 The Villages is an Active Adult community of 670 attached homes. Located in northern Howell, it’s on the East side of Route 9 at Wyckoff Rd. 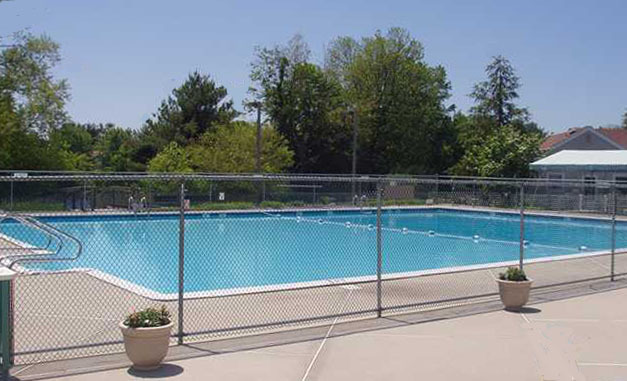 Although the community is in Howell, the mailing addresses are in Freehold, zip code 07728. The Villages is close to shopping malls, theaters, beaches, libraries, museums and of course, much more. There are 6 different models of homes in the Villages. One, the Sorrento is only available with a garage, while the others are available with and without a garage. Heat is electric, and the homes also have Central AC. The homes have either 1 or 2 bedrooms with 1 or 2 baths. Sizes range from 950 square feet to over 1500 square feet. The homes were built in 1967, and the type of ownership is the same as a condo. The owner is responsible for all interior maintenance and repairs,however the association is responsible for exterior repairs, such as painting of trim and garage doors. In addition the association takes care of repairs to the outside of the building including roofs, gutters and crawl spaces. The monthly maintenance fee includes lawn cutting, snow removal, trash removal and use of the clubhouse and facilities. There are numerous activities and clubs, with various trips, and the details can be found at the clubhouse. The clubhouse offers billiards, a woodworking shop library and card rooms. The clubhouse also contains a fitness center for those who desire to exercise and stay in shape. Or meet with your new friends in the multi-purpose room. There’s also a ballroom for parties and other social activities. The Villages also has a large outdoor pool. And there are numerous golf courses available in Monmouth County. The Villages is in a great location because bus service is available within walking distance on Route 9. Additionally, all Adult Communities in Monmouth County offer transportation services. There is a bus service from each community to local shopping centers such as malls and supermarkets. This is a scheduled service and there is n o charge. There is also a medical transport bus that will take people to any medical facility or doctor’s office in Monmouth County. These trips must be scheduled a few days in advance, however, there is a minimal charge for this service.